Prevents skin dryness due to limescale. 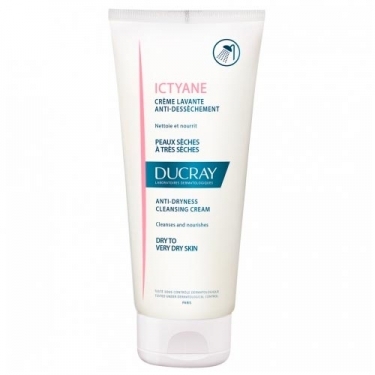 DESCRIPTION: Ictyane Crème Lavante Anti-Dessèchment from Ducray is a cream that gently cleanses and moisturizes face and body skin, preserving skin balance and preventing dryness. Without soap and with physiological pH, it cleanses the skin without attacking and prevents skin dryness. It is the daily hygiene care of dry skin for the face and body. Contains in its formulation: Extra rich complex with petrolatum / glycerine complex, safflower oils and sweet almonds; Phylogenetic protective agent; Soft cleaning base without soap.